In light of the credit crunch, many people will be looking forward to a holiday on the English coast this year – but not lucky Kate Middleton, who’s being whisked off on a £40,000 skiing holiday by beau Prince William. 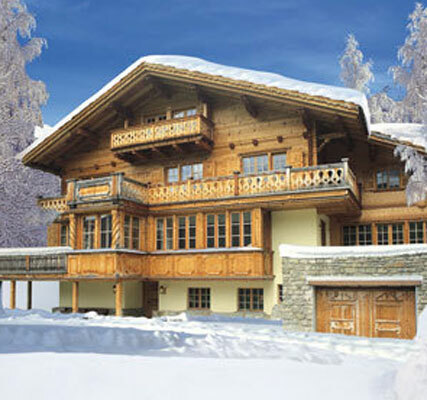 Kate’s big-hearted (and big-walleted) boyfriend has booked a lodge at the exclusive Swiss ski resort, Klosters, where the Royals usually spend Easter every year – but, this time, Daddy Charles isn’t coming! And the Prince has even shunned the five-star Walserhof Hotel – where the family usually stays – in favour of a lavish lodge, instead. He is planning to travel with the exclusive tour operator Descent, which offers ‘the best ski experience that money can buy’, including Michelin-star, home-cooked dinners and a limitless supply of Perrier-Jouet Champagne. Descent offers two villas to its VIP clientele: the majestic Chesa Falcun with sauna, steam shower and massage room, and Chalet Eugenia, a baronial retreat with roaring fires, vast oak-beamed ceilings, antique furniture and views across a snow-soaked field. Both villas have been booked for the week of 5 April until Easter Sunday, and each offers spa baths, large balconies, a chalet manager, a housekeeper, two chauffeurs, two full-time butlers, and trained chefs on call 24 hours a day. A source told the Daily Mail: ‘William has booked a chalet which is out of this world. It’s not the place they usually stay, but William has decided he wants to do something different. ‘His father has said he is not going skiing this year, so William has decided to do his own thing with a few of his closest friends. ‘The friends will all be paying their share – although William will be treating Kate. What a generous gent – wonder if he’s got the rock sorted?